Local authorities are demonstrating ever more clearly their inability to manage, control and operate via wholly owned subsidiaries, the various functions hitherto run completely in house. This is for a variety of reasons but one cause is their lack of awareness of the fundamental principle of "arms length" relationship in finance, trading and elsewhere. The rules are necessary in order to be able to judge performance but also to let the local management get on with the job and the Authority must act only as shareholders and as such they can get involved only at important meetings like AGMs, EGMs. The operation of this principle is now being examined closely in its nationwide application to multi-national concerns by KHMRC in order to ensure each unit is paying its fair share of tax. Google, for example, does all its billing from Ireland and Starbucks only pays a small fraction of what is expected in Britain - £10 million on sales of £3 billion. While we must focus on the present triple dip recession, amateurs like Stockport Metropolitan Borough Council should concentrate more on their own business or hire people who can and/or bring everything back indoors. "The Norse Group was formed in 2006 and brought together Norse Commercial Services Ltd (formerly Norfolk County Services Ltd), NPS Property Consultants Ltd and their subsidiaries and, from 1 February 2008, NEWS Ltd. Subsequently, NEWS has become a subsidiary of Norse Commercial Services Ltd as part of the efficiency improvement programme. 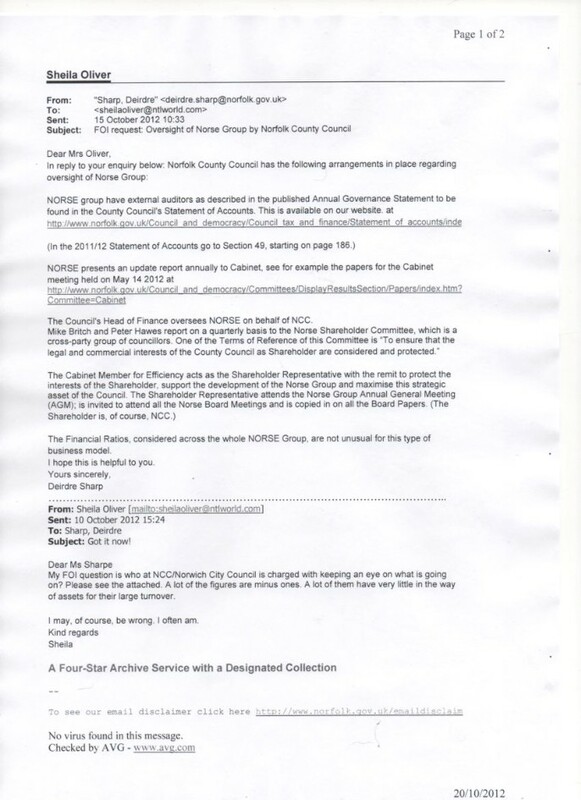 Cllr Colleen Walker (Lab) on 01493 782272 "
"Norse Commercial Services Limited was registered on 18 Jan 1994. The business has a status of active. They were founded by Barry Capon, and Peter Hawes. There are 2 shareholders of Norse Commercial Services Limited. They have 8 subsidiaries. In 2012 the company has assets totalling £27,974,196 plus liabilities totalling £40,756,208. They owe £2,511,843 to creditors and are due £12,825,667 from trade debtors. Last year, they paid £-1,095,643 in tax and had £3,397,608 in cash reserves. According to their last financial report, the business made a gross profit of £26,052,602. Their net worth is £12,742,254, and the value of their shareholders' interest is £12,923,935." FRS 17 pension funds usage affects the results. Difference between Gross Profit and Operating Profit is circa £19 million. Where did it go? We have the suspicion the there have been substantial impacts on the balance sheet liabilities (reduction) and the bottom line of trading , Profit and Loss (increased profit) due to a change in accounting for pension costs and liabilities. Assumptions made on past accumulations and the future are now altered using a lower inflation index encouraged by the actuaries (and the Government); question - would they have acted to increase the liabilities had the index gone up? The amount required to give effect to the change to date could be at least five million pounds. The Group barely broken even in 2010 and the same result is likely to have occurred in 2011. This makes for misleading reported results and state of affairs. Has 2012 shown any improvement given that the 2011 "BONUS" was a one-off and it was sailing a bit close to the wind? 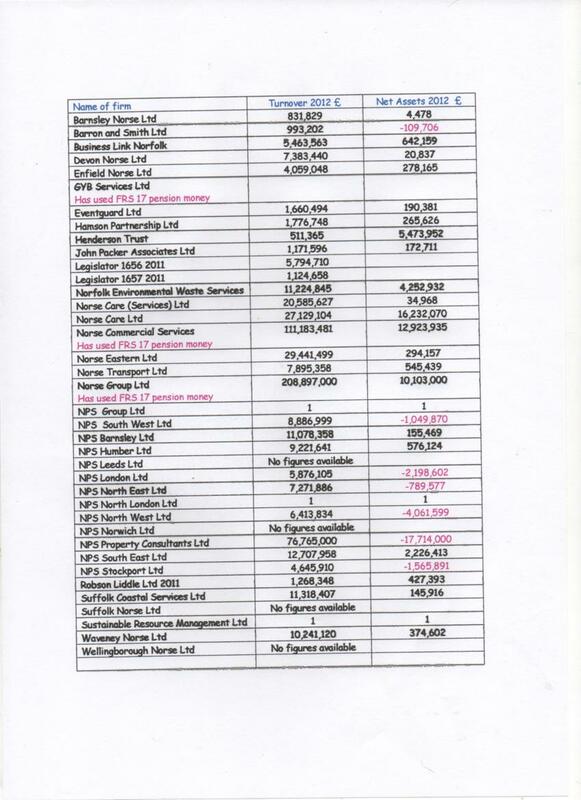 Accounts to January 2010 for Norse Commercial Services Ltd. Supplying cleaning, catering, printing, repair, security and maintenance services to both the public and private sector. "Norse Group Limited was registered on 01 Feb 2006. The business has a status of active. They were founded by Paul Adams, Peter Hawes, James Northam, and Michael Britch. Norse Group Limited have a single shareholder; Norfolk County Council. They have 3 subsidiaries. The company has assets totalling £50,009,000 plus liabilities totalling £99,768,000. They owe £5,693,000 to creditors and are due £27,215,000 from trade debtors. Last year, they paid £-661,000 in tax and had £7,752,000 in cash reserves. According to their last financial report, the business "
FRS 17 pension fund usage affects the results. Michael Lancaster Britch and Peter Michael Hawes, former local government officers, are directors. "Waveney Norse Limited was set up on 23 May 2008 in Norfolk. Their current status is active, and one of their founding directors, Andrew Merricks, has been the director of 6 other companies. Waveney Norse Limited have 2 shareholders. The company has no known group companies. The company has assets of £1,541,223 plus current liabilities of 1,166,621. They are due to pay £316,728 to creditors and are owed back £341,750 from trade debtors. Last year, they paid £-37,362 in tax and had £1,955 in cash reserves. Waveney Norse Limited reported a gross profit of £2,473,272 in their latest financial records. The company's current net worth is £374,602, and the value of their shareholders' interest is £374,602." Peter Michael Hawes, former local government officer, is a director. "Barnsley Norse Limited was incorporated on 16 Aug 2011 and is located in Norfolk. The company's status is active, with a team of 7 directors. They have no known group companies. Barnsley Norse Limited has not reported any financials as it is either too young, or exempt from filing accounts. Cash - £128,751, book value - £4,478, Current liabilities - £622,588, current assets - £628,745." Norse Care Ltd has £2,792,000 in cash and a book value of over £16 million. 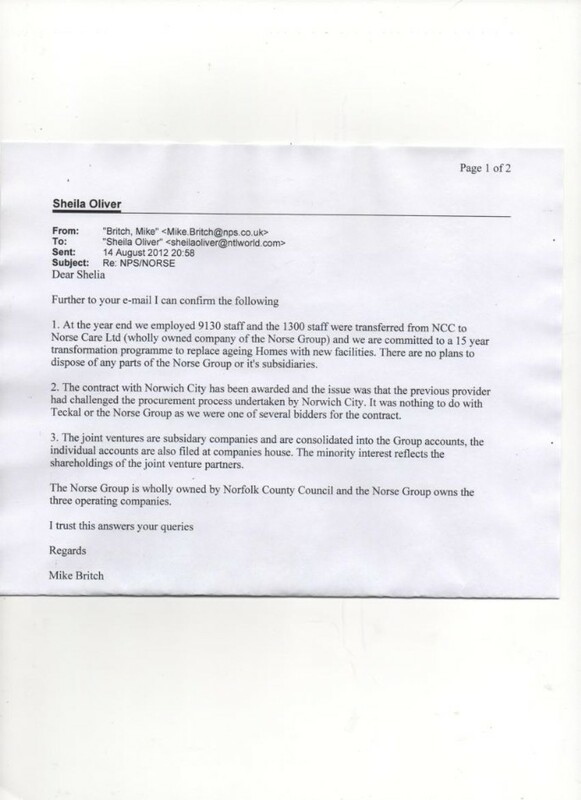 "Norse Care Limited was registered on 19 Nov 2010 with its registered office in Norfolk. The business has a status of active. Their founding director was Peter Hawes, who is British, aged 62. Norse Care Limited have a single shareholder; Norse Group Limited. They have 1 subsidiary. No annual accounts have been filed as the company is either too young or exempt from filing accounts." 2012 - Norse Care Services Ltd have £2,200 cash and a book value of £35,000. 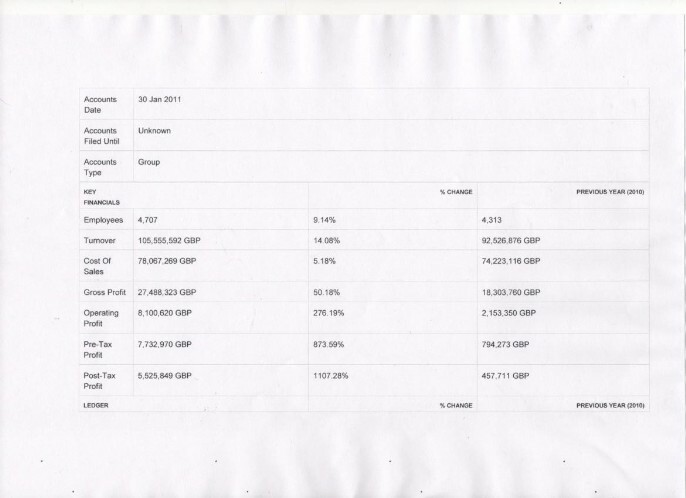 2012 Norse Eastern has no cash and assets of £294,157. Current liabilities of £3,848,729 and current asstes of £5,469,636. "Norse Eastern Limited was registered on 19 Nov 2010 with its registered office in Norfolk. The business has a status of active. Their founding director was Peter Hawes, who is British, aged 62. Norse Eastern Limited have a single shareholder; Norse Commercial Services Ltd. They have no known group companies. No annual accounts have been filed as the company is either too young or exempt from filing accounts"
"Eventguard Limited was incorporated on 30 Apr 2001 and is located in Norfolk. The company's status is active, with a team of 5 directors. Eventguard Limited is split between 2 shareholders. They have no known group companies. Eventguard Limited have total assets of £344,365 plus total liabilities of £172,285. They owe £18,964 to creditors and are due £111,069 from trade debtors. In the last financial year they paid £-3,130 in tax. According to their last financial report, the business made a gross profit of £17,062. Eventguard Limited paid £1,410,284 in salaries and £23,002 in dividends last year. Their net worth is £190,381, and the value of their shareholders' interest is £190,381. " Event Guard is jointly owned by Norse Commercial Services and Norwich City Football Club. Peter Michael Hawes is a former local government officer and a director of Eventguard Ltd. 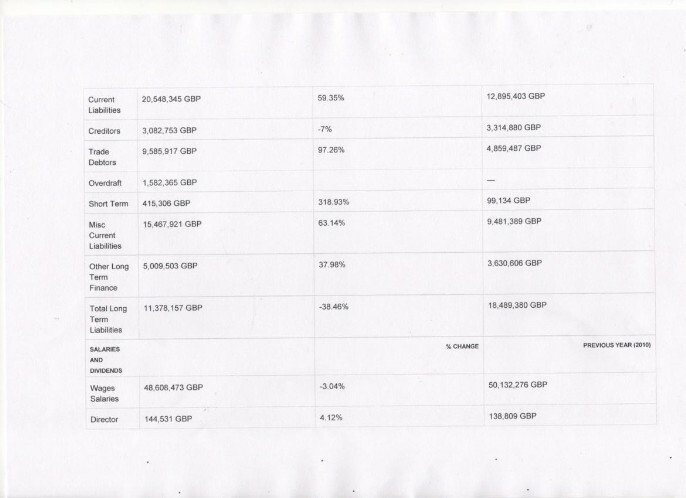 The four directors received £47,116 between them in 2009/2010. "Gyb Services Limited was incorporated on 12 Sep 2003 and is located in Norfolk. The company's status is active, with a team of 4 directors. Norse Commercial Services Ltd is Gyb Services Limited's sole shareholder. They have no known group companies. 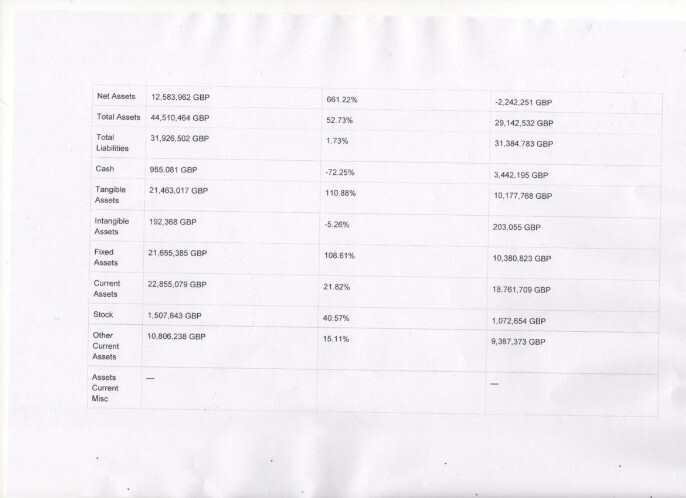 Gyb Services Limited have total assets of £2,201,354 plus total liabilities of £2,281,657. They owe £80,087 to creditors and are due £1,566,978 from trade debtors. Last year, they paid £-67,932 in tax and had £2,699 in cash reserves. According to their last financial report, the business made a gross profit of £1,706,351. Their net worth is £-80,303, and the value of their shareholders' interest is £-80,303. " Peter Michael Hawes is a local government officer and a director of GYB Services. FRS 17 pension adjustment made. "Wellingborough Norse Limited was set up on 15 Dec 2011 in Norfolk. Their current status is active, and their founding director, Peter Hawes, has been the director of 16 other companies. The company has no known group companies." Peter Michael Hawes is a local government officer and a director of Wellingborough Norse Ltd.
"Enfield Norse Limited was incorporated on 02 Mar 2009 and is located in Norfolk. The company's status is active, with a team of 6 directors. Enfield Norse Limited is split between 4 shareholders. They have no known group companies. Enfield Norse Limited have total assets of £1,146,972 plus total liabilities of £888,344. They owe £9,529 to creditors and are due £469,729 from trade debtors. Last year, they paid £-57,924 in tax and had £670,359 in cash reserves. According to their last financial report, the business made a gross profit of £899,968. Their net worth is £278,165, and the value of their shareholders' interest is £278,165. " Directors' emoluments 2009/10 £39,143 between 5 directors. "Legislator 1656 Limited was registered on 03 Nov 2003 with its registered office in Norwich Norfolk. The business has a status of active. They were founded by Emma Feltham, and Maureen Pooley. There are 4 shareholders of Legislator 1656 Limited. They have 1 subsidiary. The company has assets totalling £1,363,735 plus liabilities totalling £427,524. Last year, they paid £-39,963 in tax and had £1,977 in cash reserves. Their net worth is £5,794,710, and the value of their shareholders' interest is £5,794,710." Glen Reynolds is a director of this company. 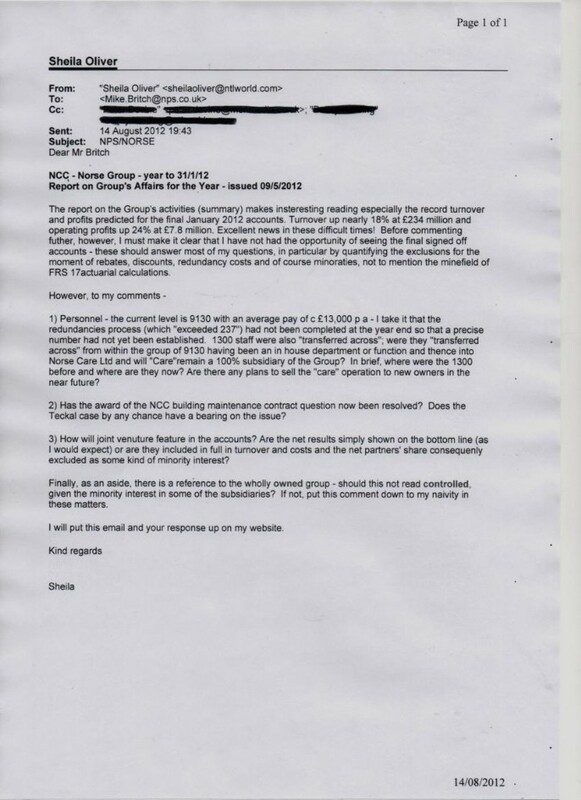 No directors emoluments paid 2009/10. "Legislator 1657 Limited was registered on 03 Nov 2003 with its registered office in Norwich Norfolk. The business has a status of active. They were founded by Emma Feltham, and Maureen Pooley. Legislator 1657 Limited have a single shareholder; Legislator 1656 Ltd. They have no known group companies. The company has assets totalling £501,035 plus liabilities totalling £4,436,377. Last year, they paid £30,549 in tax and had £34,970 in cash reserves. Their net worth is £1,124,658, and the value of their shareholders' interest is £1,124,658." Glen Reynolds is a director.